Learn about all Garmin G1000 features & differences. Get the single source of information that educates pilots about all of the features and benefits of flying the Garmin G1000, and how features vary among aircraft manufacturers. Whether you fly a Beechcraft, Cessna, Columbia, Diamond, Mooney or Tiger, you'll learn which Garmin G1000 features apply to your particular aircraft. Or, if you're planning to buy a new Very Light Jet (VLJ) like the Cessna Mustang or Diamond D-Jet, this book will help you prepare while you wait for delivery. You'll learn about the PFD and MFD displays, audio panel, programming the GPS, electrical systems, using the autopilot and dealing with emergencies. A detailed discussion of instrument approaches, integrated with use of the autopilot, will help you become a pro. Advanced features, optional in some aircraft, such as TIS and TAS traffic monitoring systems, Stormscopes, and Terrain Awareness Warning Systems (TAWS) are discussed in detail. You'll also learn to use all of the data link weather features like NEXRAD radar, satellite images, freezing level, winds aloft, AIRMETs, SIGMETS, TFRs, and METARs available through XM Satellite weather. Learning to Fly the Garmin G1000 Instructors agree that the cockpit is not an ideal learning environment. 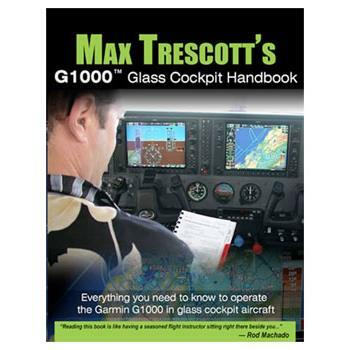 Reading this book is one of the most efficient and cost effective ways to learn the G1000 before stepping into the cockpit and taking your first transition lesson. 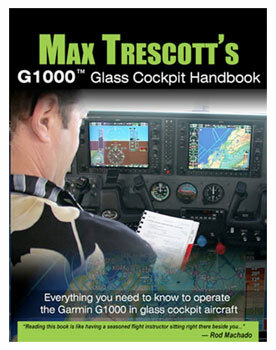 In addition, we recommend that you use the Garmin G1000 simulator software to practice as you read this book. We can also help you find where to rent a G1000 aircraft.